Note: Some RUSSIAN EELS are also members of The Eels Family. Recently, the "RUSSIAN EELS" club has successfully held three more events together with Orthodox help service "Mercy", resulting in two years of our cooperation. 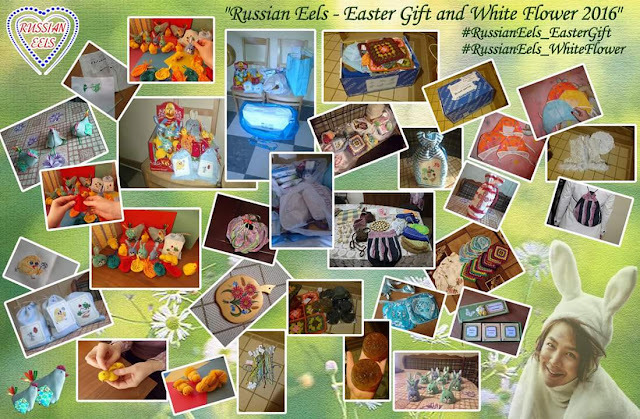 In April, the members of the club founded a creative team called, "Ugredelki - Russian Eels Projects". In May, they took part in a Charity Easter event. Firstly, they were able to gather money to buy 32 presents (149 rubles each) for those in need as a part of "Give happiness" project that was organized by "Mercy". 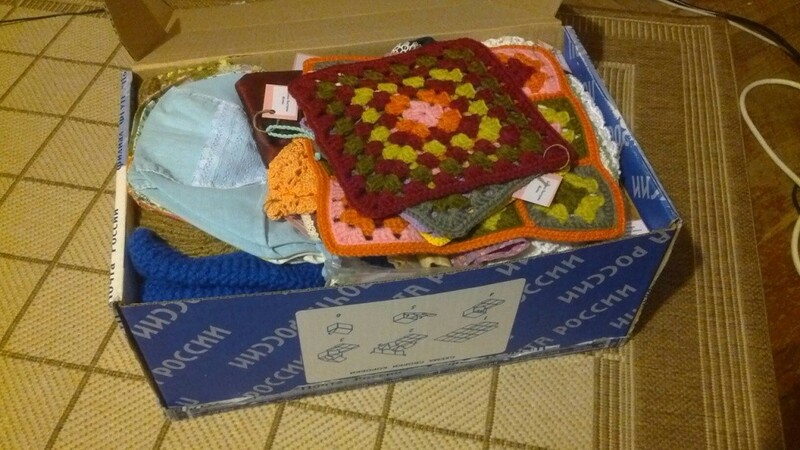 Secondly, the club provided food, articles of daily necessity, and little Easter gifts which were made by the talented members of "Ugredelki", to a group of "Mercy" in Moscow who needed assistance in getting food, clothes, and medicine. Finally, on May 22nd, the club participated in a fair called, "White flower" which took place in a Convent of Martha and Mary. 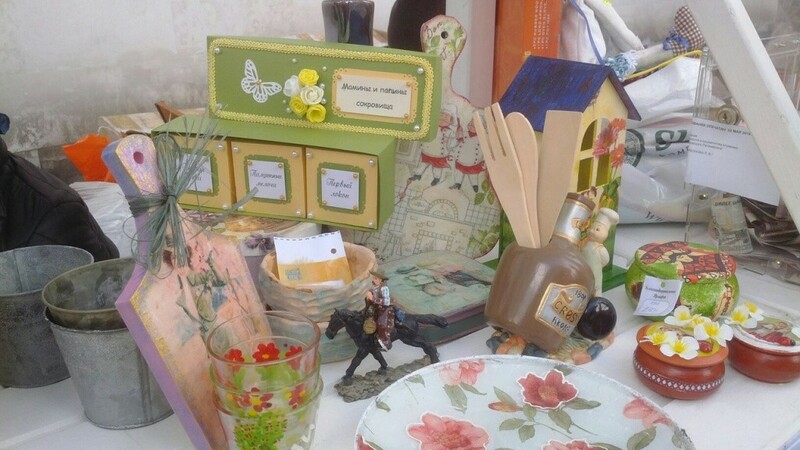 More than 90 handmade souvenirs and articles were presented from the club. Originally, the idea of holding the "White flower" event belongs to the European league of tuberculosis prevention, a part of International community Red Cross. "White flower" event first took place in 1911. It was held in many cities in Russia also there were many charity fairs and concerts. Nowadays, the purpose of "White flower" is to gather funds for the needy and sick people. All gathered funds will be transferred to a crisis center called, "Home for a Mother" which assists pregnant women and women with children who are in need. It is also one of the social projects of Orthodox help service, "Mercy". Thank you, RUSSIAN EELS for representing Jang Keun Suk with these wonderful events! We are very proud of you for helping so many people in need. Like everything in this post. I am a newbie party organizer and love such crafting projects. These days it has become a passion for me! Recently I am working on a fairy themed party at Chicago event space. Looking for unique decoration ideas for the event.